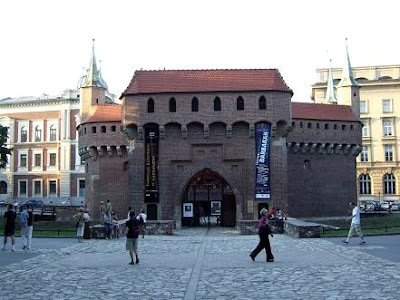 The Barbican of Krakow is a fortified outpost build around 1498. 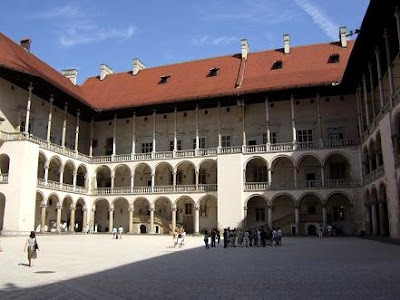 It is the largest and best preserved building of its kind in Europe. 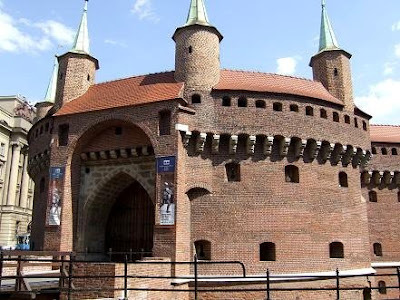 The barbican is circular in construction, has 7 turrets and 3 meter thick walls. 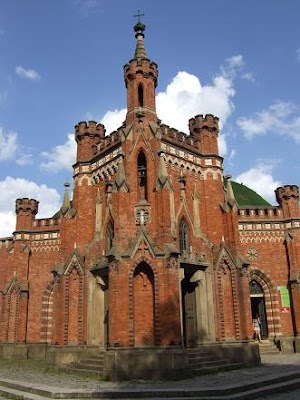 Nowadays it serves as a tourist attraction and a location for concerts and theatres. 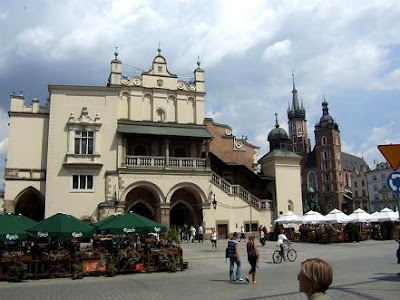 Cloth Hall with the St. Mary's Basilica in the back. 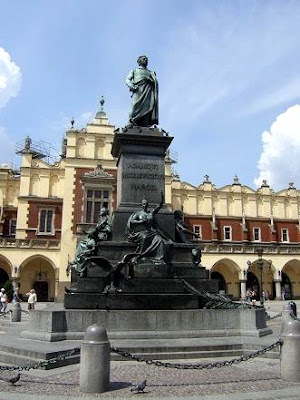 Adam Mickiewicz monument, a famous Polish poet. 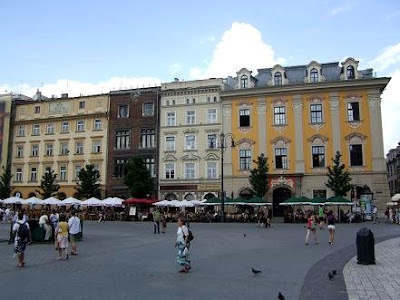 Rynek krakowski is the main market in Krakow and the largest(200 x 200 m) medieval town square in Europe. 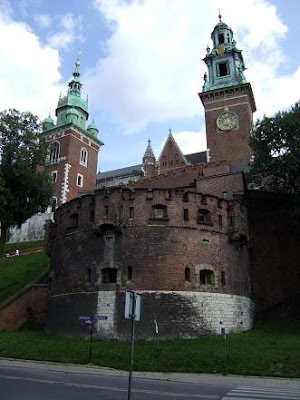 It is located on the coronation route, between the Barbican of Krakow and the Wavel Castle. 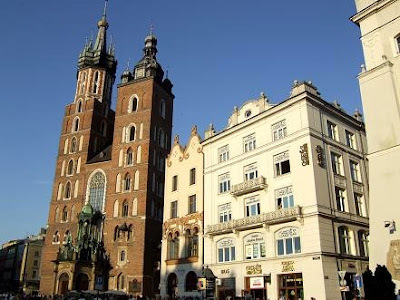 You can find some great buildings here like the Cloth Hall and St. Mary's Basilica. 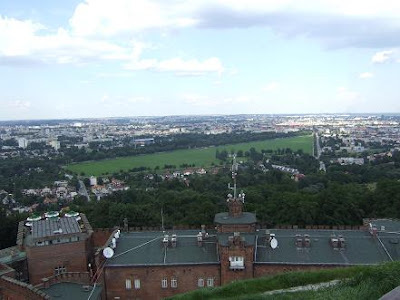 It's a nice place to sit down on one of the terraces and enjoy the atmosphere. 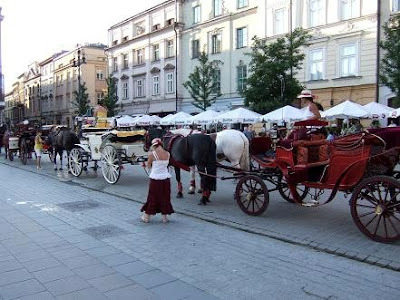 You can also take one of the horse-drawn cabs that are waiting for you on the square and see some beautiful tourist attractions in Krakow. 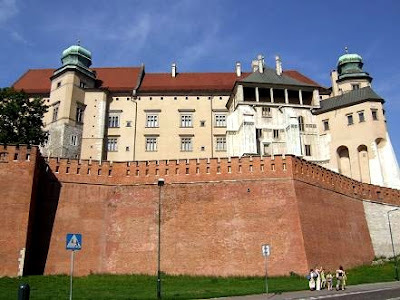 Wawel is situated on a limestone rock, 228 above sea level, on the bank of the Vistula river in Krakow. 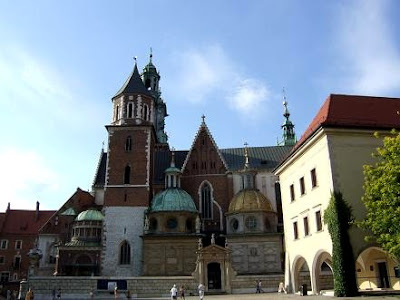 Here you can find Wawel Cathedral and next to it the Wawel Castle. 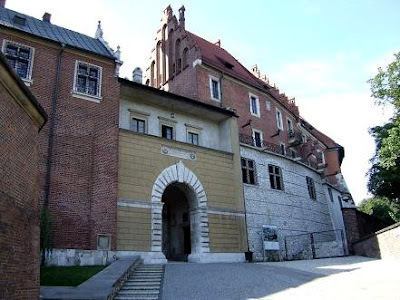 It was the residence of Polish rulers but now is a national cultural institution. 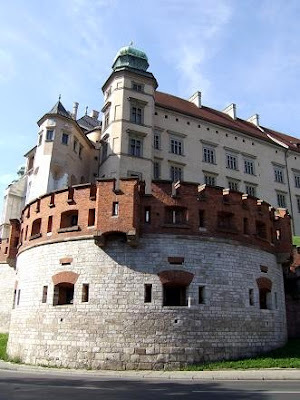 There are four parts you can visit in Wawel: the Representative State Rooms, Royal Private Apartments, Crown Treasury with Armoury and the Cathedral. 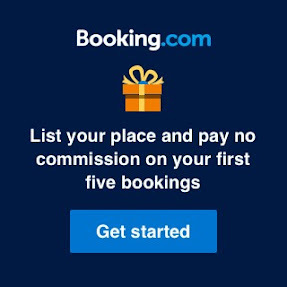 You have to buy tickets for each part you want to visit and you can't take any photos inside. 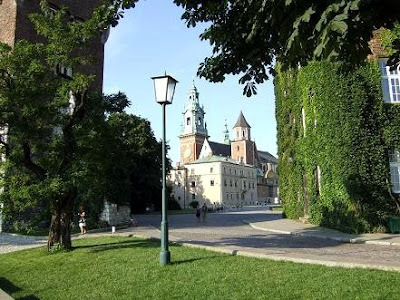 Wawel Hill is close to the centre of Krakow, on walking distance from the main square. 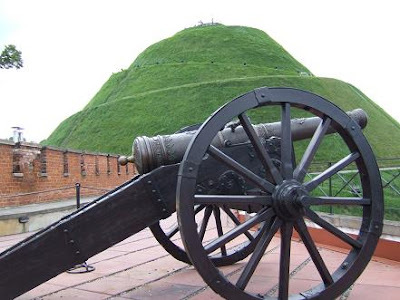 The Kosciuszko Mound is situated outside the centre of Krakow, 333 m above sea level. 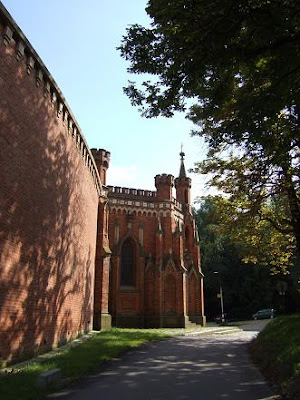 It is the symbolic burial place of General Tadeusz Kosciuszko, Polish and American national hero. 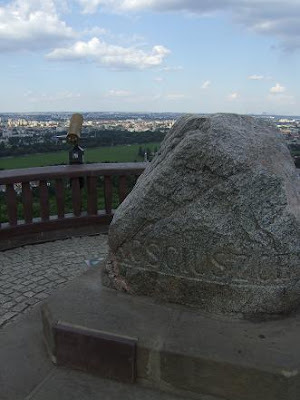 Soil from Polish and North American battlefields where Kosciuszko fought was placed here. 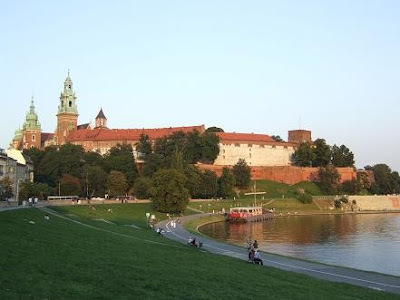 The result is a 34,1 meter high mound, seen from almost every where in Krakow. 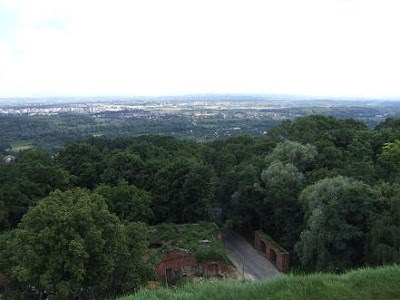 From the top you can enjoy one of the best views on the city. 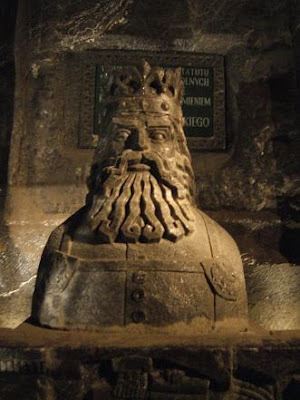 The Salt Mine in Wieliczka is an UNESCO World Heritage Site and is located close to Krakow. 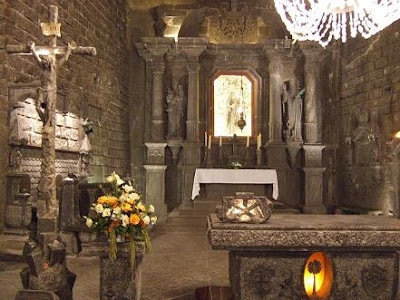 It was one of the world's oldest operating salt mines. 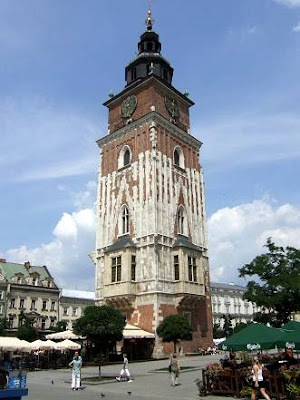 It reaches down to a depth of 327 meters and is over 300 km long. 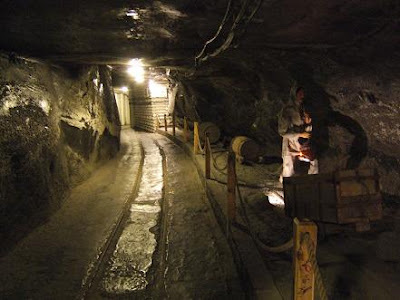 To enter the mine visitors have to descend the stairs with 380 steps. 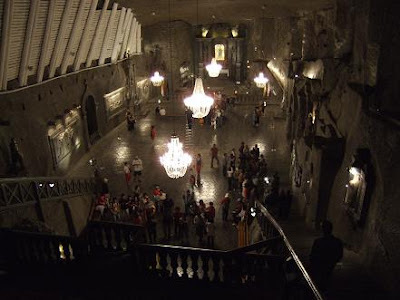 Going up is more easy, here you can use the lift that brings you back up from a depth of 135 m.
The walk in the salt mine is 3,5 km long and will show you chapels cut in salt, underground lakes and many sculptures from salt. 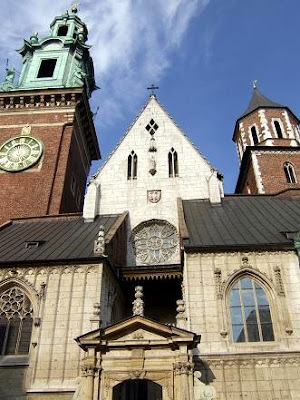 The salt mine is a must see when you are in Krakow. 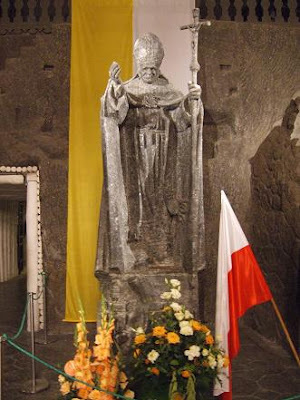 Location: Jana Mikołaja Daniłowicza 10, 32-020 Wieliczka, Poland. 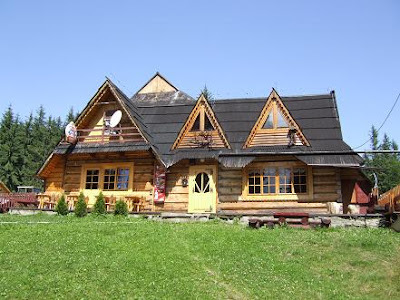 Zakopane is located in the south of Poland, about 100 km from Krakow. 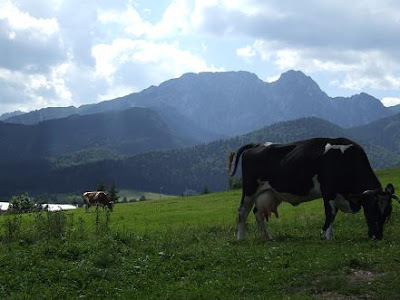 It's a good place to go for a beautiful panorama on the Tatra mountains. 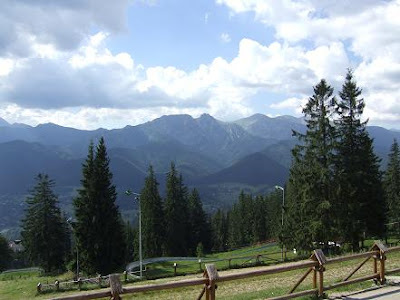 The cable train down at Krupowki Street will take you to the Gubalowka summit at 1120 m. Here are some restaurants and souvenir shops that can be a bit crowded on some days, but the views over the mountains are impressive. 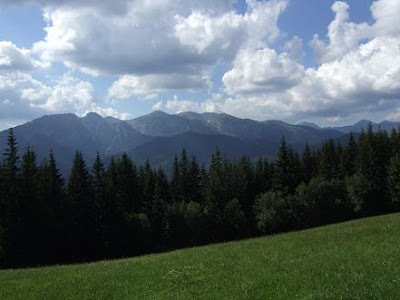 You can return by a walk down through the woods or by chair lift. There are two different lifts going down. 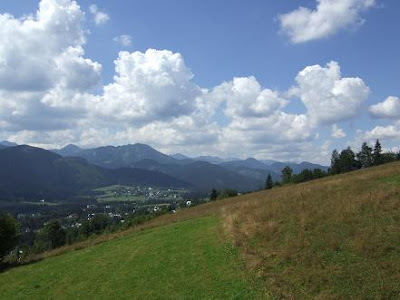 Just follow the road on the top to the left, the first one is 15 min walking and the second one is just a bit more far. 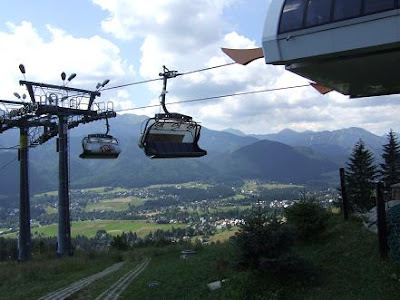 Keep in mind that if you arrive down by chair lift there is a not so nice walk back to the centre on a busy road.